Central SMT was not exactly a typical Scottish Bus Group company. Considered by some to be a bit dull (heresy! ), it certainly believed in doing things its own way. Central was the only group member never to share a service with another company. It spurned activities such as long-distance services and extended tours, concentrating instead on providing an intensive network of local services in its designated operating area. In modern-day corporate-speak, it successfully focused on its core competences. And it made a mint in the process! Central wasn't just the most profitable company in the Scottish Bus Group; it reputedly made more money than the rest of the group put together. It was largely due to Central bankrolling that a decent record of investment in vehicles and services was maintained from Wick to Carlisle, Aberdeen to Skye. Put another way, Central was the financial powerhouse of the SBG. It also had its quirks! The company's operating area was split into two barely-touching segments, based on Lanarkshire (to the south-east of Glasgow) and Dunbartonshire (to the north-west of the city). Rather than get involved in joint operation of longer-distance services to other areas, Central tolerated substantial penetration of its Lanarkshire heartland by other group companies, most notably by its one-time parent, Eastern Scottish - the original Edinburgh-based SMT company. Central's fussiness and conservatism in choosing suitable double-deckers for its needs was matched only by London Transport. And for the single-deck fleet, it preferred relatively simple, rugged designs for even the most intensive urban work. Hopefully this site will prove that Central was far from boring. The bleak industrial landscape of 1960s Lanarkshire may have given way to prosperous middle-class housing estates and high-tech business parks, but the character of the area is very much poorer for the passing of this once-great company. 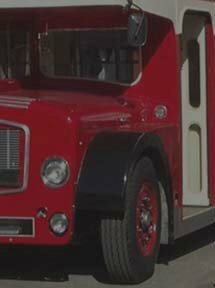 This site concentrates on Central SMT Co. Ltd. in the period 1960 - 1985, and its immediate and short-lived successor, Central Scottish Omnibuses Ltd. 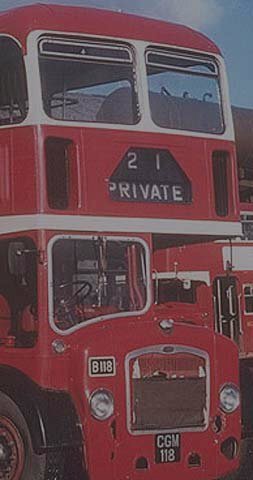 There is also a brief look at Kelvin Central Buses and the beginnings of First Glasgow, bringing the picture up to the end of the 20th Century.